Peter Johnson’s 46 year career in journalism and public affairs has taken him from Brisbane and its trams to the Concorde supersonic jetliner and on to the Australian Defence Force. When he started a journalism cadetship on the Brisbane Courier-Mail in 1965 he had no idea that the profession of words would take him around Australia and around the world. Newspaper work in Brisbane, London, and Melbourne provided a stepping stone to a job as civilian Public Relations Officer for the Royal Australian Air Force in Melbourne and ultimately Regional Manager, Defence Public Affairs for Victoria and Tasmania. A recurring thread through his career has been aviation, both as an aviation writer and Public Relations Officer with the Air Force. 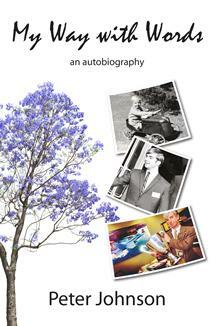 In this book he answers some of the questions about “what’s it like to…?” ride the trams, fly aboard Concorde, meet remarkable personalities, represent the Defence Force, and more. Author Peter Johnson was born in Brisbane, Queensland, in February 1947. He was educated at Greenslopes State Primary School, Brisbane Grammar School, and the University of Queensland. He commenced a career in journalism on the Courier-Mail, Brisbane, in 1965, then travelled to England in 1970 where he worked on the Surrey Comet newspaper. Returning to Australia in mid-1971, he joined the Melbourne Sun News-Pictorial. In 1985 he became the civilian Public Relations Officer for the Royal Australian Air Force in Melbourne. In 2000 he was appointed Regional Manager Defence Public Affairs for Victoria and Tasmania. He retired in 2011, and lives in Melbourne.